While one revealed how he was commended for a job well done, the other revealed how his was canceled. Ever since news broke of Nigerian singer, Davido, going for the one-year mandatory National Youth Service Corps program, Nigerians have steady followed the progress from his end. It was only at the beginning of the program earlier this year, we got to see the singer participate in the program as he made sure to show it on his social media page. 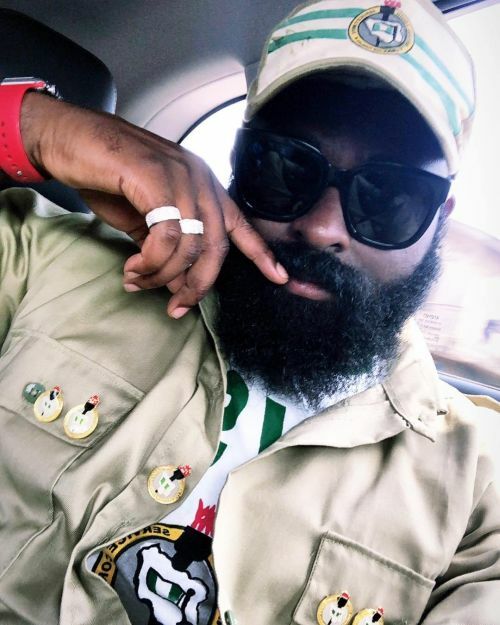 Not long after, he began going on his music tour, outside the confinement of the NYSC program and hence, a penalty was awarded to him – there was not much of news after this, not until recently when the singer revealed his one-year program was canceled. 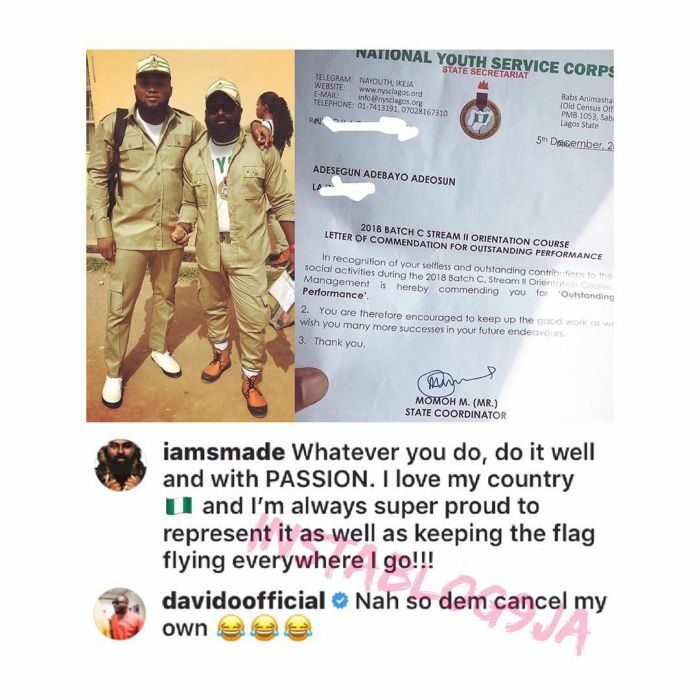 After entertainment promoter, Adesegun Adeosun took to his page to reveal that he was lauded by the NYSC official body for his works during his service year, Davido took to the comment section to reveal that his was canceled.